What helps make epic space adventures like Isaac Asimov’s Foundation saga, Frank Herbert’s Dune series, Star Wars , and Star Trek so gripping? Setting, amongst others. It is the immense scale, the developed backstory and history, which give characters’ actions meaning and makes for a captivating tale. The most memorable stories are set in universes not just vast in size, but that stretch back through time. One such setting is Elite Dangerous. Diverse, distinctive, and over thirty years in the making, it provides a rich source of inspiration for any storyteller. SFF fans searching for alternate realities can immerse themselves in 400 billion star systems, 1300 years of future events, and epic space adventures like Out of the Darkness. 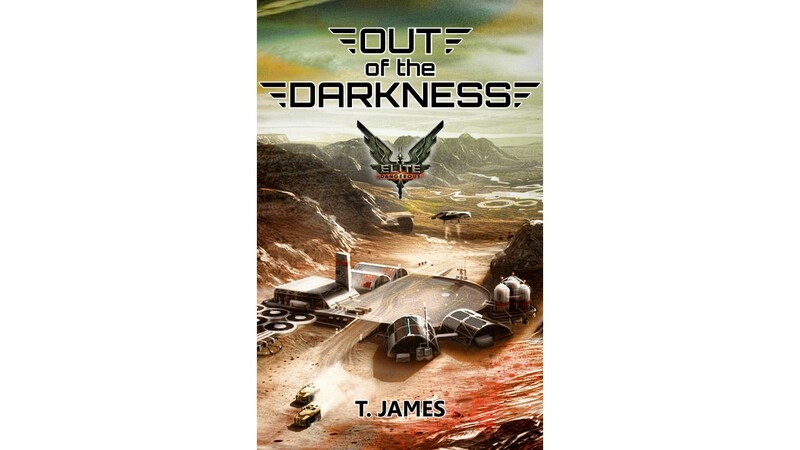 Mature in years, young at heart, and sideways in outlook, T. James aims to bring his inquisitiveness and varied life experiences into his writing to create something just a little different. The breadth and scope of speculative fiction has always had a special attraction for him as a reader and, as a fan of the Elite games since 1984, the opportunity to set a story in the first galaxy he flew a spacecraft in was too good to miss. Having spent several months working with Frontier, contributing to the backstory and lore of the Elite universe, his imagination finally took flight—one which ended with Out of the Darkness, his first novel-length work. Now that it’s finished, he’s actually getting some time to play Elite Dangerous!